The original thanksgiving celebration was held by the Pilgrim settlers in Massachusetts during their second winter in America in December, 1621. The first winter had killed 44 of the original 102 colonists. At one point their daily food ration was down to five kernels of corn apiece, but then an unexpected trading vessel arrived, swapping them beaver pelts for corn, providing for their severe need. The next summer’s crop brought hope, and Governor William Bradford decreed that December 13, 1621, be set aside as a day of feasting and prayer to show the gratitude of the colonists that they were still alive. These Pilgrims, seeking religious freedom and opportunity in America, gave thanks to God for His provision for them in helping them find 20 acres of cleared land, for the fact that there were no hostile Indians in that area, for their newfound religious freedom, and for God’s provision of an interpreter to the Indians in Squanto. Along with the feasting and games involving the colonists and more than 80 friendly Indians (who added to the feast by bringing wild turkeys and venison), prayers, sermons, and songs of praise were important in the celebration. Three days were spent in feasting and prayer. From that time forward, Thanksgiving has been celebrated as a day to give thanks to God for His gracious and sufficient provision. President Abraham Lincoln officially set aside the last Thursday of November, in 1863, “as a day of thanksgiving and praise to our beneficent Father.” In 1941, Congress ruled that after 1941, the fourth Thursday of November be observed as Thanksgiving Day and be a legal holiday. This country has forgotten God. It is virtually illegal in this country to mention God unless one is using His name as a curse word. Yet the founding fathers of this nation recognized that it was because of God’s mercy and blessings that they existed. It is because of God’s great love for men today hat they have such abundance of clothes, shelter, and food. The Bible says, “Offer unto God thanksgiving; and pay thy vows unto the most High:” Psalms 50:14 KJV All men and women need to be thankful this week for the families they have and for the privilege of living in a free country. People need to learn how to thank God even during times of hardships. Some turn to drugs – legal and illegal. Some commit suicide. Others gripe and complain and make everyone around them as miserable as they are. Yet people need to learn joy and thankfulness in spite of circumstances. If men could focus on the Lord and forget about themselves, they could learn to be joyful, not because of circumstances, but in spite of circumstances. The Bible says, “Not that I speak in respect of want: for I have learned, in whatsoever state I am, therewith to be content.” Philippians 4:11 KJV Paul was in prison when he wrote this. He had learned to be content under any circumstance. He kept his attention focused on serving God first and others second and he placed himself third. By doing this, he was content. The Bible also says, “And when ye will offer a sacrifice of thanksgiving unto the LORD, offer it at your own will.” Leviticus 22:29 KJV Here the OT scriptures speak of a “sacrifice of thanksgiving” which Israel would offer long ago. The Lord wanted this to be offered from a person’s “own free will.” He did not want anyone coerced or forced to do this. When a person is forced to say “thank-you,” then he might as well have said nothing. 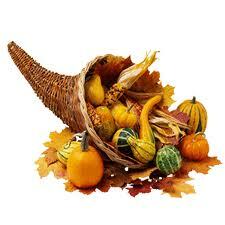 An expression of thanksgiving is accepted only when it is truly meant and not forced. First, God has qualified us. Paul wrote, “Giving thanks to the Father who has qualified us to be partakers of the inheritance of the saints in the light” (Colossians 1:12). The word qualified means “to make meet” or “to make able.” The idea is that God has enabled us to have something. Put simply, God has given us the privilege of a relationship with Him by forgiving us of our sins and providing a means to turn from the darkness and toward the light. Think about that. Through no merit of our own, God presented us with the gift of life eternal with Him. The center of the Gospel is the cross of Christ. We simply come to the cross as humble sinners, in repentance and humility, and He accepts us. Through His blood He washes away our sins. As the hymnist reminds us, “Nothing in my hand I bring, simply to Thy cross I cling.” Christ has made us fit to be partakers. He has qualified us. Second, God has delivered us. Paul said, “He has delivered us from the power of darkness” (Colossians 1:13). Third, God has conveyed us. Paul stated, “He … conveyed us into the kingdom of the Son of His love” (Colossians 1:13). Every person must make a choice sometime in his or her life to leave the kingdom of darkness and walk into the Kingdom of light through the ticket that has been bought with the blood of Jesus Christ. When we do that, we can be thankful that God will take us from hate, fear and oppression and bring us into a relationship of trust, love and hope. Fourth, God has redeemed us. Paul wrote: “In whom we have redemption through His blood” (Colossians 1:14).Redemption means “to release a slave by paying a price, or to buy back.” It was a term borrowed from the ancient slave markets where someone could come in and pay a price for a slave. Once he’d paid the price, he could set the slave free. Fifth, God has forgiven us. Paul stated, “Through His blood, the forgiveness of sins” (Colossians 1:14). The word forgiveness means “to send away.” God took your sins and shipped them off.These three short verses in Colossians show us how thankful we should be for our salvation. We can be thankful that God has qualified us, delivered us, conveyed us, redeemed us and forgiven us. And because we are thankful to God for so great a salvation, we can pour out our lives in service to God and become a conduit of His goodness to a desperately hungry world. Let everyone, this Thanksgiving Day, be thankful for the wonderful blessings he enjoys. Let everyone freely, without coercion, give thanks to the God who holds each one’s breath in His hand and freely gives all things to enjoy. The Bible says, “Charge them that are rich in this world, that they be not highminded, nor trust in uncertain riches, but in the living God, who giveth us richly all things to enjoy;” 1 Timothy 6:17 KJV We, like the Pilgrims, have a choice. In life there will always be those things that we can complain about (the Pilgrims had lost many loved ones), but there will also be much to be thankful for. As our society becomes increasingly secular, the actual “giving of thanks to God” during our annual Thanksgiving holiday is being overlooked, leaving only the feasting. May God grant that He may find us grateful every day for all of His gifts, spiritual and material. God is good, and every good gift comes from Him. It says in the Bible, “Every good gift and every perfect gift is from above, and cometh down from the Father of lights, with whom is no variableness, neither shadow of turning.” James 1:17 KJV For those who know Christ, God also works everything together for good, even events we would not necessarily consider good. May He find us to be His grateful children. Before you and your family enjoy Thanksgiving dinner, or begin watching a parade or football game, be sure to take time to truly thank God in prayer and thought for the national wealth, power and prestige He has given this nation. While there is still time, make certain that you and your family are not partaking in the nationwide, unthankful attitude. Be sure to give thanks to God in the same heartfelt, sincere manner that the pilgrims did on the first Thanksgiving in North America! The best kind of thanks giving is thanks living! – showing our thanks to God by the way we live. To grow rich in God’s sight, we say our thanks and we show our thanks. Not just in words of appreciation, but deeds. To properly thank God for His gifts we must use them according to His will – 365 days a year! http://www.rachelaldous.com/online_store/ Purchase this song, performance track and sheet music here. This song came straight from my heart one night as I prayed over my sleeping daughter. As I stared at her beautiful frame I was just moved to tears by what an amazing gift from God she really is. She was born with neurofibromatosis and is considered legally blind. Some would have advised while she was still in the womb that I should have had an abortion because she isn’t “perfect”. That would have been a tragedy. As this song has been passed around it has been used in many different ways- pro-life rallies, baby dedications, Mother’s Day events, weddings, and as a simple lullaby sung over a sleeping baby. My hope is that this song would inspire all mothers to pray over their babies, no matter how old, and to see the value of human life. Post your baby’s pictures to “A Mother’s Prayer” Wall along with a prayer athttp://www.facebook.com/pages/A-Mothers-Prayer-Wall/155012658837, make sure and use the photo tab. Downloadable sheet music and background track available athttp://www.RachelAldous.com. WHAT DOES THE BIBLE SAY AS WE APPROACH EASTER AND JESUS’ RESURRECTION-WHERE DO WE GO WHEN WE DIE ? As we get closer to Easter and think about Jesus being crucified on the cross and three days later raising up from the dead, we often wonder if when we die do we go straight to heaven if we are saved. As I did some research, there was a lot of different opinions on this subject. This is my opinion and what I was taught in church and read in the Bible. When you die you will be judged by God like everybody else. The Bible says, ” And as it is appointed unto men once to die, but after this the judgment:” Hebrews 9:27 KJV So what really happens when you die ? There are so many articles on this subject it would take me days to look through, so I found one that I am going to copy for you to read that I think explains it very well. It is from The Brethren Revival Fellowship website. I copied it from here and hope you enjoy and understand. On Tuesday morning, September 11, 2001, thousands of people died-wives and husbands, fathers and mothers, married and single persons-most thrust quickly into eternity–primarily because of a terrorist jihad aimed at the destruction of Israel and those who support that nation. The violent attacks caught the world by surprise. We pray that the shock and fear and inconvenience caused by the dastardly deed will bring many to repentance and salvation, and that all of us will reflect on our lives, making new commitments of devotion to Jesus Christ. On Thursday morning, August 9, 2001 our youngest daughter, Berdene Walmer was promoted to glory. She was diagnosed with a rare type of chordoma brain tumor already in April, 1993. Her sight and speech and hearing and swallowing had all been affected by the tumor growth. Berdene’s husband, Tom Walmer, arranged for the best care that the medical profession was able to give. But after seven major surgeries (some radical, all in the nose, throat, neck, and head area)-and three series of radiation the tumor again was aggressive in its growth, and pressed on those areas of the brain that control the breathing mechanism and the body temperature. Berdene was in a coma for six days before she went to be with the Lord. Her departure from this life was gentle and peaceful. Berdene was 24 years old when she sensed that her sight and hearing and speech were becoming more and more impaired. In addition, she was having severe pain in the neck and head area, and was finding it more and more difficult to swallow food. Early in 1993 an MRI revealed the presence of a very large and rare kind of brain tumor, called a “chordoma” tumor. That diagnosis was followed by the surgeries and the radiation treatments. The chief neurologist at Johns Hopkins Hospital (along with a team of medical helpers) performed the first two surgeries-first sawing the roof of her mouth to remove a portion of the tumor, and then sawing her jawbone in half and splitting her tongue to remove another major section of the tumor. Later, at Brigham and Women’s Hospital in Boston, another surgery involved cutting around her nose and slicing her face down over the upper lip, to get behind the eye to remove the tumor which had been pushing the eye out of its socket. The proton beam radiation (given at the Harvard University cyclotron) involved delivering two billion hydrogen protons into specific areas of the head every second. During the eight and one half years of discomfort and suffering, Berdene did remarkably well. Her mind continued to function right up until the day of the coma. She was able to use her limbs to do some of her work. Her attitude was positive. Her husband was faithful and supportive. The most difficult trial was coping with the death of their 22 month old son, who, after Berdene’s second surgery, was killed in an automobile accident. In spite of all the difficulties, Berdene spent time helping to proofread the BRF Witness articles and several of my books. She attended a number of Annual Conferences and BRF meetings in earlier years. During her illness, much of her time was spent writing notes of encouragement to people who suffered in various ways. During just one month she wrote cards and notes to fifty persons. All of us, barring the return of Christ, are going to die. Some will grow old and die; some will die at an earlier age. We fade like flowers and wither like grass (Psalm 103:15). We all experience aging and illness and frailties of some kind. And although we can be thankful for the wonders of modern medicine and for the skills of dedicated doctors-the fact still remains that death will come to all of us. And at death, the body will return to the dust of the earth, and the soul will be carried immediately–either into the presence of Christ (for those who die in Christ), or, it will enter into a place called “Hades” (for those who die in their sins). Following death, there is an intermediate state-the time between death and the final judgment. And there is also a final state-the eternal destiny which will last forever. In this study, we want to look at the intermediate state-what happens during the interval between death and the final judgment. Jesus told about the self-centered ungodly rich man (in Luke 16). The ungodly man died, “and in hell he lifted up his eyes, being in torments” (Luke 16:23/KJV). The word translated “hell” is “Hades,” a word which in the New Testament is used to describe the place where the unsaved dead go immediately upon death. The Greek word for “hell” as a final destiny, is a different word. The word “gehenna” was used to describe the Valley of Hinnom, the garbage dump on the south side of Jerusalem. It was the place where wild dogs gnashed their teeth as they fought over the garbage of the dump. Gehenna is the final place of punishment; Hades is the intermediate place of the dead. Jesus (in Luke 16) says the souls of the wicked go to “Hades” after death, but in Matthew 10:28 Jesus speaks about hell also. There, He says that both soul and body are cast into “gehenna” after the resurrection and final judgment. In Matthew 10 Jesus is talking about final judgment, but in Luke 16 He is talking about what happens immediately after death. Hades is like a county jail (a temporary prison), until the sentence is determined. The Lake of Fire (gehenna) is like a state penitentiary, a permanent place of punishment. While “Hades” is not the final destiny of the wicked, it is a place of conscious suffering and of despair place of torment. The man in Luke 16 wanted someone to dip the tip of his finger in water to cool his tongue (Luke 16:24). At another place, the Bible says that “the Lord knows how to … reserve the unjust under punishment for (until) the day of judgment” (2 Peter 2:9). Hades is a temporary prison where the wicked dead are kept under punishment until the day of judgment and the final sentence is named. The purpose of the Judgment is not so much to determine who is saved and who is lost. The matter of salvation has been determined by our decision regarding Jesus Christ here in this life. For example, John 6:47 says, “He who believes in me has everlasting life.” The word “believes” is a strong word: It means “to embrace,” and “to cling to;” it includes repentance and obedience. Those who sincerely receive Jesus Christ as Saviour and Lord of their lives, are assured of eternal life. By way of contrast, those who do not know God, and who do not obey the Gospel of our Lord Jesus Christ “shall be punished with everlasting destruction from the presence of the Lord” (2 Thessalonians 1:8-9). And so the final Judgment is not so much designed to determine who is saved and who is lost, as it is to determine the degree of punishment and the degree of reward. Every human being will some day stand before the judgment bar of God. There will be rewards and there will be appropriate punishment. Exactly when and how God will accomplish all this, is not really important for us to know. But in Revelation 20:1314, the word translated “hell” (KJV) is “Hades.” And so when the text says that “death and Hades” will deliver up the dead who were in them, those in Hades (the temporary prison) will be judged, and then cast into the Lake of Fire. The Lake of Fire will be the eternal destiny of the unsaved. The Bible teaches that those who are saved, having embraced the blood of Jesus on the cross (11 Peter 1:18-19), will at death go to be with Christ, in a state of conscious bliss–and are immediately in fellowship with Christ. The Apostle Paul declared that “to be absent from the body” is to be “present with the Lord” (2 Corinthians 5:8). 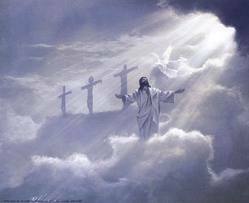 And later, he says that to die, is “to depart and be with Christ, which is far better’ (Philippians 1:23). Jesus speaks of the immediate abode of the saved dead, as “Paradise.” He said to the thief on the cross, “Today you will be with me in Paradise” (Luke 23:43). The righteous dead are in the presence of Christ, in a place called Paradise, awaiting the resurrection of the body the judgment, the final reward-and the future life in Heaven. It might be helpful to explain that before the death and resurrection of Jesus, “Hades” had two regions, one for the righteous and the other for the unrighteous. Not only were the wicked in Hades, but so were the righteous in Old Testament times. In the account of the rich man and Lazarus (in Luke 16), before the death and resurrection of Jesus, there was a “great gulf” (Luke 16:26) between the two regions. But they were close enough to each other that the self-centered rich man could communicate with the patriarch Abraham. In the later parts of the New Testament, the abode of the saved is described with the word “paradise.” The Apostle Paul was “caught up into Paradise” (2 Corinthians 12:4). Our Lord Jesus says that those who overcome shall “eat from the tree of life, which is in the midst of the Paradise of God” (Revelation 2:7). The Scriptures indicate that Christ descended into Hades before He went back to the Father, at the time of His crucifixion and resurrection and ascension. Acts 2:27 says that His soul was not left in Hades and that His body did not see corruption. Acts 2:32-33 says that Jesus was raised up and exalted at the right hand of the Father. And Ephesians 4:8-10 says that when Christ “ascended on high, He led captivity captive.” It is the belief of many evangelical Bible teachers that it was at this time that those in the righteous portion of Hades were led into the place called Paradise in New Testament times. Jesus descended into Hades, set the Old Testament saints free, and took them to Paradise to be with Him. And now, when saved persons die, “to be absent from the body is to be present with the Lord” (2 Corinthians 5:8). If the above Scriptures are properly interpreted, then immediately after death, the saved find themselves in Paradise and the lost find themselves in Hades. Exactly what activities will take place during the time between death and judgment (in these temporary abodes) is not revealed in Scripture. The Bible is restrained in what it says about life immediately following death. There are many questions about life after death that go beyond the limits of our understanding. Now we see through a glass darkly, but a marvelous day is coming when those mysteries will be completely unveiled. Paradise of God, and upon receiving new bodies, eventually will be transported into the final heavenly home, which Jesus says He is preparing for His people (John 14:1-3). Christ achieved victory over death when He arose from the grave, and His followers have the promise of an afterlife in Paradise and eventually in the heavenly Home. However, death is still associated with sadness even for the Christian, because of the trauma of separation. But death is no longer oppressive for us because we have the assurance of entering Christ’s presence when we die-and that is far better than life here on earth (Philippians 1:23). Still, death is a time of grief and sadness. 1) While as believers, we prepare for death, death is not the central focus of our lives. The central focus for us is the resurrection. Philippians 3:9-10 expresses the truth that we aim to be found in Christ, and that our goal is to know “the power of his resurrection.” We look to the day when Jesus will appear and abolish death, and transform our lowly bodies to be like His glorious body (Philippians 3:21). We look at death in light of Christ’s great triumph–His return as King of kings–raising the dead and bringing life here on earth to a conclusion. While we prepare for death, death is not the central focus of our lives. Our focus is on the resurrection. 2) While we are burdened for those we love and leave behind at death, we recognize that our dying will be great gain. When we approach the borders of death, we are mindful of the fact that those we leave behind will be lonel and will grieve at our passing. Letting our friends behind is always painful. Hearing the news about a sudden death, or standing by the bedside of one who is dying, is always distressful. But when we arrive in the Paradise of God, the mysteries in our lives will become clear, and God will demonstrate the marvels of His grace that saved us. We are told in Ephesians 2:7 that “in the ages to come” Christ Jesus will “show the exceeding riches of His grace in His kindness toward us. Even the hard times which we face in this life are products of the kindness of God. 3) While we enjoy life here on earth, it is enjoyed only temporarily, because we are ready to depart from it. Our reparation for death begins with faith in Jesus Christ, repentance for sin, and receiving Christian baptism. It continues with believing on the Lord Jesus Christ and the work He did for us on the cross. It issues into a life that moment by moment seeks to walk in obedience to God’s Word, and to live in fellowship with His church, and to move day by day under the direction of the Holy Spirit. For the genuine disciple of Christ, death is faced with a sense of anticipation. We look at death-like a prisoner, awaiting release from prison; like a schoolchild, when the end of the term is near; like a migrant bird, ready to fly south; and like a person in the hospital, ready to go home. Medical science can help people die relatively painlessly, but only the Christian message of hope through Christ can help us die victoriously. Let us make it a point to avoid foolish ways of living, and seek to live wisely, skillfully, and according to God’s pattern. None of us knows how soon our lives will be snuffed out. The uncertainty of life and the certainty of death should cause us to make commitments to follow the Lord more carefully, and to bring the unsaved into a right relationship with God through faith in Jesus Christ. Mandisa discusses how she relied on Scripture on her journey to lose (more than) 100 pounds.